Before cracking the striated shell of our Ingredient of the Month, we decided to put these beauties to use in a tablescape for a dinner party we hosted last week. Cotton, while not edible, is also emblematic of November as it is about to be picked at our farm (and clearly we had to sneak a few branches for ourselves and our clients). When Autumn met Brinner. This dinner party is the perfect marriage of two feel-good classics. While Brinner is the ultimate comfort food, Autumn begs for you to curl up next to the fireplace (if only the temperatures would drop enough!). For our brinner party, we served elevated twists on the classics: a tart (mushrooms + sweet gorgonzola + walnuts), a hash (sweet potatoes + pancetta + kale), and pancakes (sourdough + persimmon whipped cream). 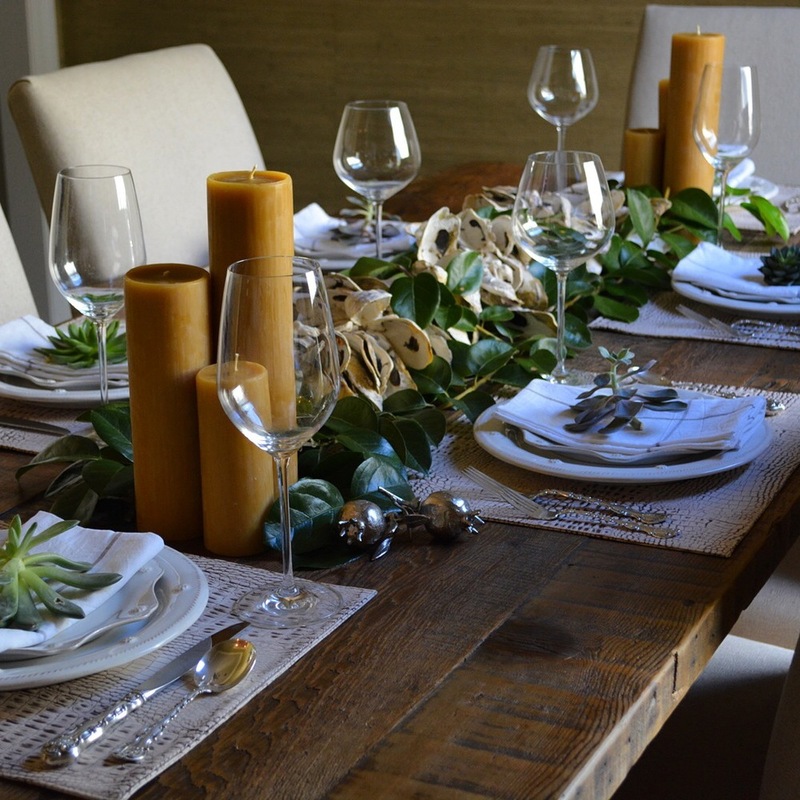 For a garden dinner party that we recently hosted, we wanted a "rustic chic" tablescape to compliment the food (whole roasted lemon chicken, cauliflower mac and cheese, etc.). The eucalyptus table runner against a white table cloth is the perfect mix of refined and woodsy; and we love the way our twig and feather name cards turned out.